Having a good credit score is essential to have as you move through life. Loans are an unavoidable part of life for most people. Establishing a solid credit history and retaining a high credit score can have a powerful impact on your present and future quality of life as you apply for loans or credit cards. Payment history (35%): Your payment history represents your creditworthiness. It shows how good you are at paying your bills on time, as well as any red flags like a bankruptcy filing. Credit utilization ratio (30%): This number shows what percentage of your available credit you are utilizing. Maintaining a ratio of 30% or below can prove helpful to your credit score. Length of credit history (15%): How far back your credit history goes can be favorable if you have been consistently paying your bills throughout this time. This is one case in which an older person may have the advantage over younger consumers. Someone with 10+ years of timely payments may be seen as more creditworthy than someone with only a year of accounts to show. New credit accounts (10%): Keep an eye on how many new accounts you are opening. When you open too many within a short time frame, this gives the idea that you are dependent on borrowing to keep up with your expenses. Credit mix (10%): When credit bureaus look at your debt, they weigh it all separately by credit card accounts vs. car loans, student loans and mortgages. As shown above, your overall credit score is determined by many factors.. For this reason, it's important to focus on those 2 first categories when looking to get your credit score up. The first step is to get access to your 3 bureau credit report (TransUnion, Experian and Equifax). As you look through the report, be sure to keep a lookout for references to unpaid bills or late payments. If you find any inaccurate information, file a dispute. The report should give you with instructions on how to do that. If you find you are not up for doing the task yourself, enlist a credit repair company. If you don't have the extra money to get your balances down, try to get an increase on your credit limit. If you’ve reached the $1k limit on your card, try to get the limit increased to $2k. The amount of credit you are using will get cut in half. If you are able to do this, be sure not to use any of it..that will defeat the purpose. The key with this one is to apply for a new card but do not use it for any purchases. If you do not put any new purchases on your current credit cards as well as the new one, the overall amount of credit you are using will go down and your score may increase.​ The key here is to not apply for more than two cards, any more and it may look like you are looking to go on a shopping spree. You can't erase that debt but you can help out your score by trying to settle some of the debt. The key is to make sure you get them to send you something in writing. If you find yourself in need of some extra cash, there are lots of ways to get some. Past due credit accounts are a surefire way to bring down your credit score. Start making payments now on any past due accounts and you will see a quick boost to your credit score after it has been noted on your credit report. This is a great option for giving your credit score a boost. The key is to make sure that the cardholder is making his/her payments on time each month and will continue to do so. When you get added, the account will now be on your credit report. Just make sure it is your name on the card. Your credit report will now show the main cardholder’s on-time payments etc. If you are one of those people who puts everything on their rewards credit card and pays it off each month, listen up. You are doing great by paying it in full each month, but creditors are more than likely reporting your statement balance to the credit bureaus each month. If you have a limit of $1k and a balance of $1k, it looks like you are using 100% of your available credit and that could hurt your score. The way to get around this is by making a payment at least twice a month. 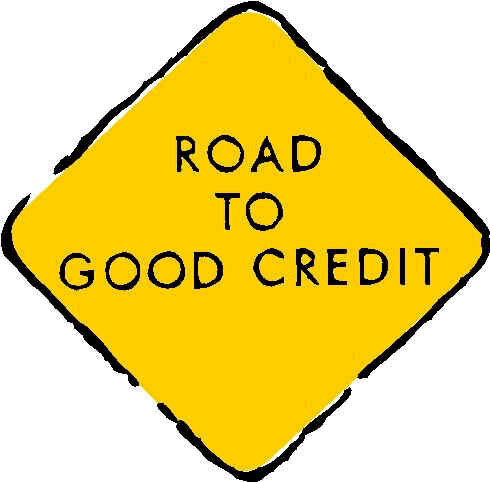 Using different kinds of credit can make for a slight increase to your score. As an example, taking out a small personal loan or purchasing new furniture on installments may do the trick. This of course should only be considered if you are sure you can make the payments and on time. If you have debt that has been paid off, like your home or your car..kudos to you! But do not be so quick to try to get it removed from your report. This is considered good debt and is great for your credit. The longer your history of good debt is, the better your score is. You should also stay away from closing any accounts that show a consistent payment record. We all have been late on payments at one time or another. As benign as they may seem, these late payments can add up to a nice decrease in your credit score. If you are in a good place with your creditor, try to see if they will delete any late payments with the credit bureaus. They are in communications with them on a monthly basis and that quick phone call could help out your score. It is definitely no easy feat to increase your credit score. Large movement in your credit score takes time and usually requires paying off large sums of your debt. With that being said, there are many factors that go into your credit score and its formula. The tips mentioned above are simple ways you can give your score a boost when you need it. Keep in mind that results will not happen overnight. It takes about 3 months to see any positive changes to your score.